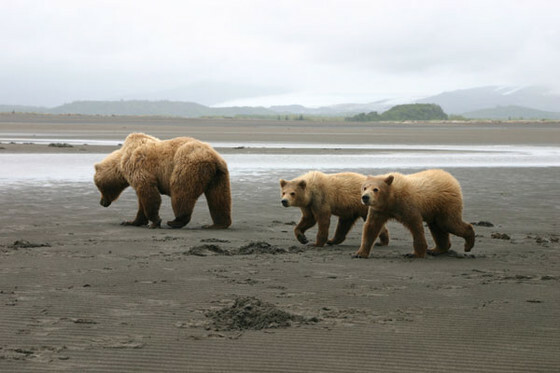 Interested in a Kodiak Bear Tour? 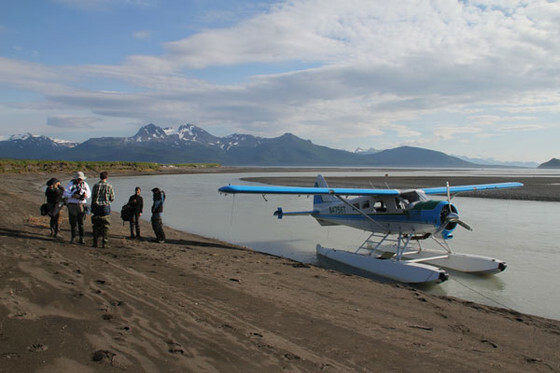 Our tour departs Trident Basin in the city of Kodiak to a destination on either Kodiak Island National Wildlife Refuge, or Katmai National Park & Preserve. (Click to open Map) You'll fly in our remodeled de Havilland Beaver floatplane with Rolan Ruoss, our experienced pilot. Rolan has been flying Kodiak Island for 20 years, and We think He's the Best. His local knowledge enhances the trip and He can take you straight to the greatest spots. 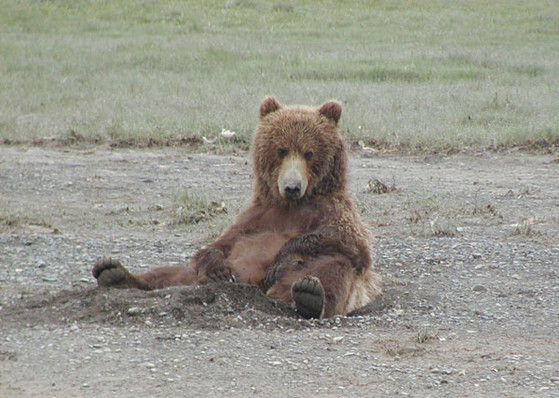 He'll brief you on what to expect and how to respond to the Bear once you land in the Park. Buckle your seat belt as you take off for a spectacular flight! The scenery is breathtaking, and be on the lookout for other Animals such as Sea Otter, Orca (Killer) Whale, Gray Whale, Humpback Whale, Deer, Mountain Goat, Bald Eagle, Puffins to name a few. Don't expect to see all the Animals mentioned, as they are completely wild in their own habitat, and won't all be available at one time, but we don't think you'll be disappointed. We'll be landing next to give you a ground tour. There is some walking involved, which varies from location to location. If you are physically unable to walk a mile, this is not the trip for you. The least we walk is about half a mile, and the most about 3 miles, depending on viewing location. If you give us a quick call we can give you an idea which location we may be using during the time you are considering going on the trip. Bring your camera, and the highest power lens you have, and a warm coat as the weather can vary greatly in our part of the world. We provide hip boots, as Bears and water do mix! After this, we'll get back in the plane, have a lunch not to be compared with Airline food, and take off to see more country, before heading back to Kodiak's city. The whole tour takes around 5-5 1/2 hours, timing for departure on the tour depends on several factors including tides and feeding activities of the bears. We could depart at various times throughout the day as we try to avoid high tide, which tends to be nap time for the bears. We advise you to plan a little extra time, as the weather and bears can be unpredictable, and we may want to slightly change times on the trip to give you your very best chance to see as many Bear as possible. The cost for the Tour is $615.00 per person, with a minimum of two passengers. We also offer a discounted rate of $515.00 for children under 12. The flights run from June 1st through October 1st. We also do some trips the last 2 weeks of May when conditions are right. Please ask about them. If you have any additional questions, or would like to know about other services, please feel free to contact us.